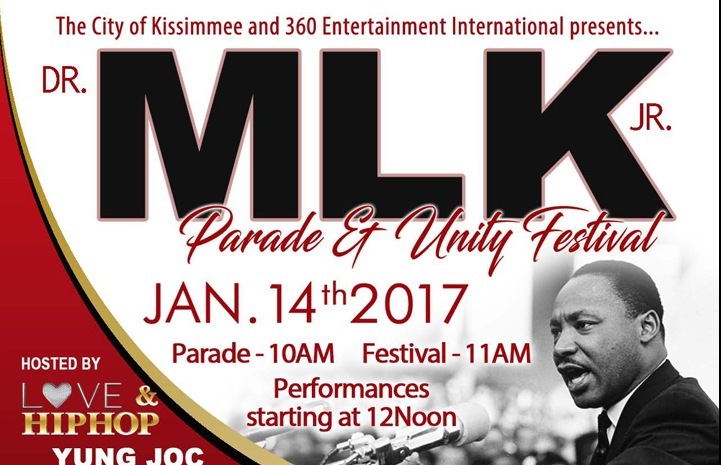 Don Fryson / 360EI and the City of Kissimmee are putting on a sensational show at the Dr. MLK, Jr. 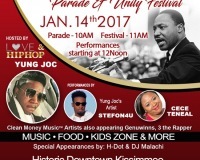 Parade and Unity Festival on Saturday, January 14. 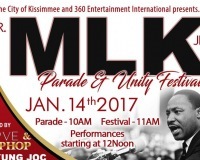 Parade starts at 10 AM. Festival starting at 11 AM. Its an all day festival. Fun for the entire family!!! 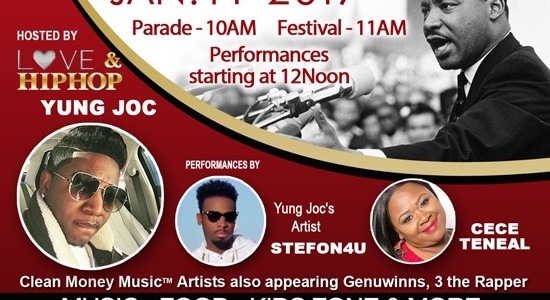 Yung Joc from Love & HipHop, re-introduces singer / performer sensation Stefon4u who returns to Florida to Body Rock the audience. Bobby Booshay 360EI Records / Clean Money Music recording artist will be performing his HOT new single NO COMPETITION! See GB Breezy 360EI Recording artist continue to shine! Destiny J, Clean Money Baby will be turning it up with her Shoe Game on fleek! 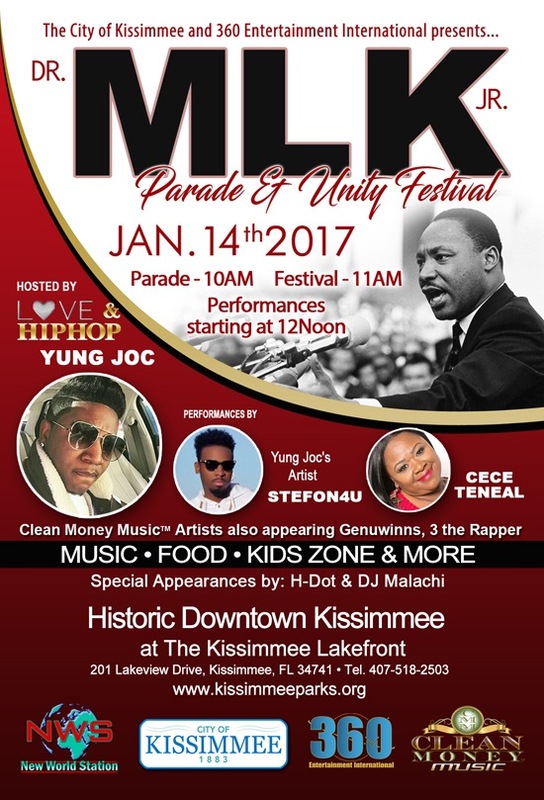 Debuting rising star Lanay Genuwinns keeping it Real with Rebelutions... And, 3 the Rapper makes his first appearance at the annual festival!